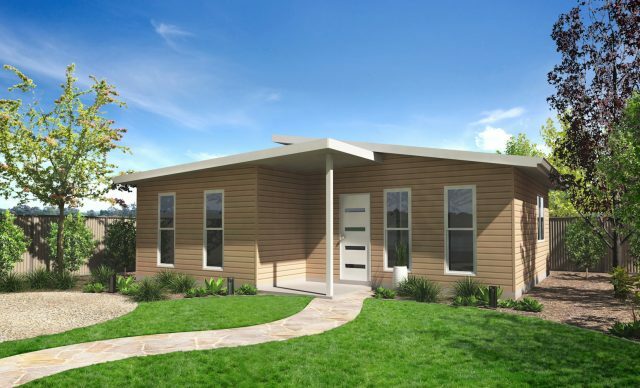 Granny flats are a big win in the rental space. The income can cover your repayments and then some, if you play it right. But the lifeblood of renting your granny flat is finding renters, which is no small feat. Seemingly they’re everywhere. Sydney is a wellspring of hungry tenants and passing tourists. But alternative options are equally abundant. Apartments, duplexes, and room-sharing apps can make it hard to stand out and lure renters. Worse yet, finding good, reliable tenants can be a jungle walk. But the rewards are worth it if you persist. Smart investors are making serious headway from rental income on their granny flats, and there’s no reason you can’t too. All it takes is smart planning and some added precaution. So here’s 4 crucial secrets to a smoother rental journey with your esteemed dwelling. The rental market usually feels like a renter’s game. Tenants can afford to be choosy. You can’t. It’s up to you to make sure you’ve got a property worth renting. So, what makes your granny flat special compared to the other options? You might not have a unique offering right now, but it’s easy to come up with one. Think beyond just a place to stay; renters want more. Include something that may not be available everywhere. It could be as small as having air conditioning, nice garden views, free use of your swimming pool, or added extra’s like Foxtel or Wi-fi. Think of anything the granny flat next door isn’t likely to have and offer it to your tenants. Don’t underestimate the appeal of stylish design either. A fresh, modern living space is a sure path to attracting more tenants, especially with all the outdated properties on the market. Research shows that large windows can make a dwelling look bigger and more inviting too, so keep that in mind if you’re planning for a new build. Our Breeze range is usually the go-to for hopeful landlords, as vertical windows are standard inclusions. There used to be a mystical art to advertising. Now, it’s a walk in the park while staring at your phone. A status update is all it takes to get your message in front of thousands of people. Your best chance of finding renters will be by advertising online. No contest. Start with Facebook. Your friends and their friends know at least a dozen people who need a place to stay. If they don’t, then their friends and the friends of those friends will. We’re all connected. It might sound confusing, but social media does the legwork for you. Just snap up a few handsome photos of your dreamy granny flat, and post away. Remember to ask your friends to share it around too. Start with your own profile, and then post to a dedicated rental listings group. Every website will tell you how to maximise your outreach, but the most important thing is to take good photos and write a telling description. You don’t need professional photography, but make sure you show every part of your dwelling clearly. And don’t skimp on the juicy details. “Granny flat with 2 bedrooms in Blacktown $300 p.w” won’t get you much love. Make your description as detailed as possible, and make sure you highlight your unique point of difference. The more your prospects know, the higher your chances of a call-back. The caveat to advertising online is that it can be a big workload though. You’ll need to juggle multiple listings on different websites, and schedule constant meetings with would-be renters. Teaming up with an established agent or rental partner is still a worthwhile alternative. Having your listing maintained and negotiated by a professional is a lot easier, and it spares you the burden of dealing with time-wasters. For the anachronistic crowd, you can always use old-fashioned newspapers or community noticeboards instead. These are a lot simpler than advertising online. Local schools, churches, and social clubs are still great for advertising accommodation, and it’s usually free. There’s a world of difference between finding a tenant and finding a good tenant. Before erupting into celebration, make sure you grill potential tenants over their living habits. You’ll be sharing a property and a backyard space with them, so it’s good to know what they plan on doing there. Don’t be afraid to dig deep either. If they’re serious about renting your granny flat they won’t mind answering any reasonable questions. Don’t get hung up on their personality or demographics though. The name, age, and favourite sports team of your renters won’t affect you in any way. You might not get along with them like-for-like, but as long as they use your property sensibly and honour the rental agreement, you can’t ask for much more. What are your hours of work? There’s a big difference between the 9-5 and 5-9. If your tenants work abnormal hours, then consider how their daily routine might disrupt you. If they’re getting home and cooking dinner at midnight, then it could be a problem for you and your family. Will there be kids on the property? Your tenants might not realise it, but your granny flat (or shared backyard) might not be a safe place for small children. If you’re prone to noisy get-togethers or DIY yard work, you’ll need to warn potential tenants about the added dangers to their kids. What kind of car do you drive? Utes and trucks are a hotbed for oil leaks and heavy fumes, so if you’re worried about the added mess or pollution make sure you mention it. If your tenants have a sports car or turbocharged engine, you’ll have to deal with a vicious growl in your driveway every morning too. The wrong car might not be a deal-breaker as long as you can agree on reasonable measures. It might also be worth running an industry background check on your tenant in case they’ve been blacklisted before. We owe sympathy to the landlords of yesteryear. They endured decades of destructive tenants before security bonds became mainstream. Renting wasn’t always as secure as it is now. Thankfully we’ve been spared the expensive lesson, as bonds are a common clause in any rental agreement today. And for good reason. Your granny flat might be your prized asset, but it’s just a temporary crash-pad for most people. No matter how sensible your renters are, you can’t expect them to care for your property as much as you would. It takes a fellow home-owner to understand a home-owners craft. One of the biggest pitfalls to renting is dealing with occasional damages caused by irresponsible tenants. Missed payments or pricey repairs can dent your income pretty quickly. The next step is usually tenants going AWOL, leaving you short-changed and cheated. The short lesson is make sure you secure a bond from any tenant before letting them move in. No exceptions. By law, the maximum you can take is 4 weeks’ worth of rent. There may be other restrictions too, so read up on the NSW rental regulations.